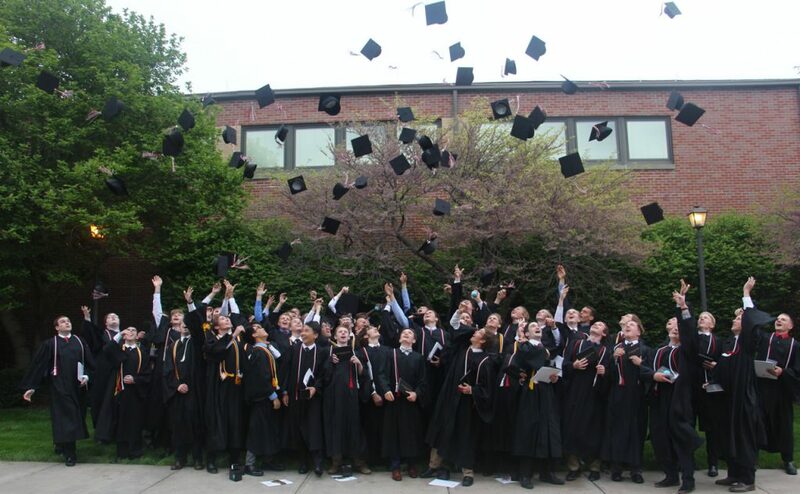 The Mount Michael Benedictine School Class of 2018 has 57 graduates. The average ACT score for this class is 28.6, which surpassed last year’s record score of 28.5. The 57 boys of the Class of 2018 were accepted at 87 colleges in 30 states. This was nine different colleges in Nebraska and seven different colleges in NY. They will be attending 30 different colleges in 16 states; with 44% going out-of-state and 37% to private colleges. Twenty-nine boys will be attending five different colleges in Nebraska. The Class of 2018 was offered $ 7,723,944 of scholarship dollars. One-third of this class qualified for full tuition scholarships. Two-thirds of these boys will be using scholarship money for the institution they will be attending which is more than $2 million.